The Early Fathers of the Church drew upon the philosophy of Stoicism, not only by appropriating certain elements of its philosophical lexicon, but also in shaping the Church’s articulation of moral virtues. Questioning from a secular perspective recent criticisms of “traditional masculinity” for its “stoic” restraint of the passions, this essay effectually defends the moral vision of ancient Christianity against detractors in professional psychology and other behavioral sciences. Once psychologists began studying the experiences of women through a gender lens, it became increasingly clear that the study of men needed the same gender-aware approach…the main thrust of the subsequent research is that traditional masculinity—marked by stoicism, competitiveness, dominance and aggression—is, on the whole, harmful. I largely agree with these colorful criticisms. But there’s something more important at stake here. Stoicism—which the APA’s guidelines mention twice—should not be challenged or eradicated, but understood, embraced and promoted. Stoicism is, contrary to the APA’s criticism, a really, really good thing. The APA lists “stoicism”—alongside “competitiveness, dominance and aggression”—as one of the tenets of traditional masculinity. And, while there are certainly moral and psychological arguments against dominance and aggression (both inherently negative emotions, which motivate individuals to gain power over others) the APA’s attack on stoicism is misguided and harmful. The APA’s new guidelines take aim at a cartoonish version of the latter, a clichéd image of the man who refuses to engage with his emotions and instead bottles them up, destroying himself in the process. This is a cheap stereotype: men and women alike both struggle to grapple with and express their emotions. In taking aim at this convenient straw man, the APA overlooks the value of both attitudinal stoicism and philosophical Stoicism alike. That’s a shame, because a heaping dose of stoicism—both as a general demeanor and a philosophical practice—is exactly what American men and women need right now. We live in an increasingly hysterical society, plagued by constant outrage, political upheaval and an abiding, ubiquitous feeling of cultural despair. Driven by bombast and fury in our politics and culture, we’ve entered a period of tribal warfare, defined by self-righteousness and by blind solidarity with our cultural allies and fear and hatred of our supposed cultural enemies. This is having a measurable impact on both our culture and our individual psyches: politics is driving people into therapists’ offices, and depression, anxiety, drug use and suicide are skyrocketing. These unfortunate trends are encouraged and exacerbated by a cable news outrage industrial complex, which churns out a kind of constant you’re right, but you’re losing; they’re wrong, but they’re winning anger-tainment, aimed at keeping fearful, angry eyes glued to television screens and an impending sense of doom fresh in viewers’ minds. The path to happiness and personal fulfillment at a harrowing cultural moment like ours is not more outrage, more activism, more shouting, and more political and cultural warfare, as many suggest. Rather, it is the conscious, careful cultivation of a stoic attitude: an attitude of calmness, acceptance and rationality in pursuit of inner peace, in the face of trials, tribulation and confusion. Everything that happens is either endurable or not. If it’s endurable, then endure it. Stop complaining. If it’s unendurable…then stop complaining. Your destruction will mean its end as well. Just remember: you can endure anything your mind can make endurable, by treating it as in your interest to do so. In your interest, or in your nature. Stoicism teaches that the antidote to anxiety, confusion, frustration and anger is not to relentlessly rage against circumstances, but to accept our relative powerlessness over them and instead focus on improving ourselves and our characters through sobriety and self-discipline. No matter how breathlessly they are reported, the political events of our time—and all events of any time, for that matter—are endurable, so we ought to endure them and conserve our emotional energy for that which truly matters: pursuing better versions of ourselves. Lines of stoic thinking can be found in every major religion: all of which, in one way or another, teach that inner peace is achievable, even at times of tremendous hardship. We have little control over the future and even less knowledge of it, and our anxieties, outrages and visceral reactions to external events often inflict more damage on our psyches in the present than the events themselves. The emotionalism French correctly identifies is, itself, responsible for a great degree of our cultural dismay. Paradoxically, the fact that the recommendation to cultivate stoicism as a healthy response to political and cultural despair stirs such a visceral response among those who live and breathe modern outrage is itself an indicator that it’s the right prescription for them. 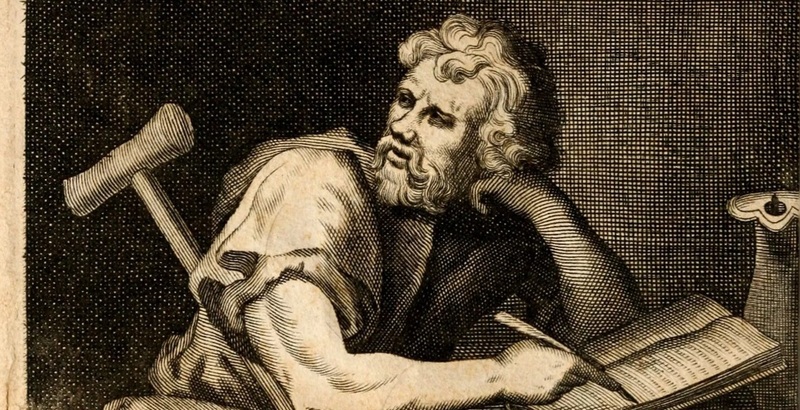 Stoicism involves mastery of one’s emotions, not their repression. Now is exactly the wrong time to sneer at the notion of taking events one at a time and striving to be judicious, calm, patient and wise in our emotional reactions to them. For many, a stoic demeanor and the conscious practice of Stoic philosophy may provide the best possible antidotes to the feelings of anger, confusion, bewilderment and helplessness that have come to define the zeitgeist. Traditional masculinity, like modern feminism, means well but is imperfect and, at times can be more interested in destruction than affirmation. But stoicism—real stoicism, not the cheap caricature conjured by the APA—is among masculinity’s greatest gifts to humanity. In this time of conflagrations, we’d be fools to cast it into the fire. Dylan Gallimore is the content manager at political consulting firm Jamestown Associates. A South Jersey native, he currently lives in Philadelphia, PA.